The Rapid Deployment Craft (RDC) is simply the best, fast-response, ice rescue craft available at any price. The craft surrounds one or more rescuers in an ultra buoyant and protective inflated perimeter. 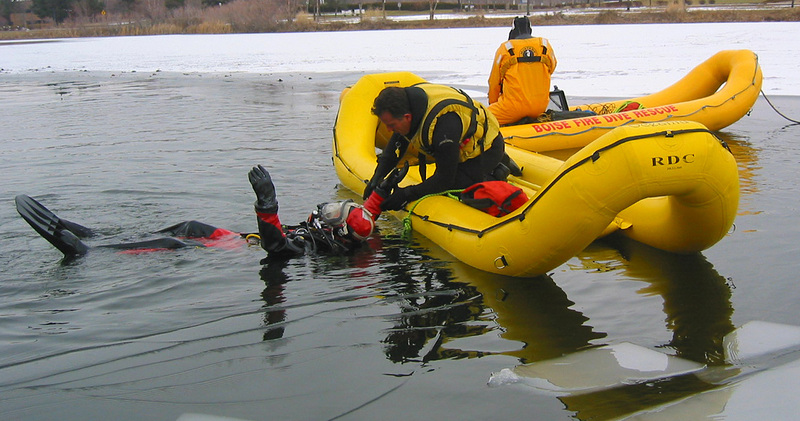 The RDC allows a rescuer or rescue team to quickly reach a victim and safely retrieve them from a through the ice or water cold water rescue scene. 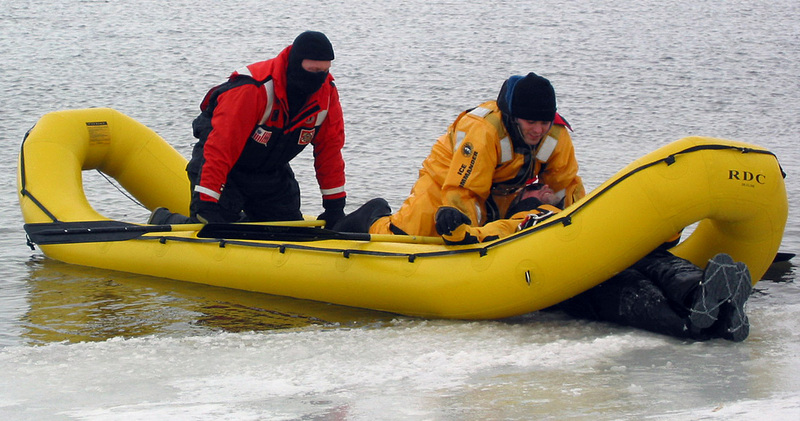 The rescuer or rescue team can easily carry the 50-pound RDC to the edge of the ice, step into the craft, and run out across the ice to reach a victim. While on the ice, they are protected from falling through a fracture into the water. 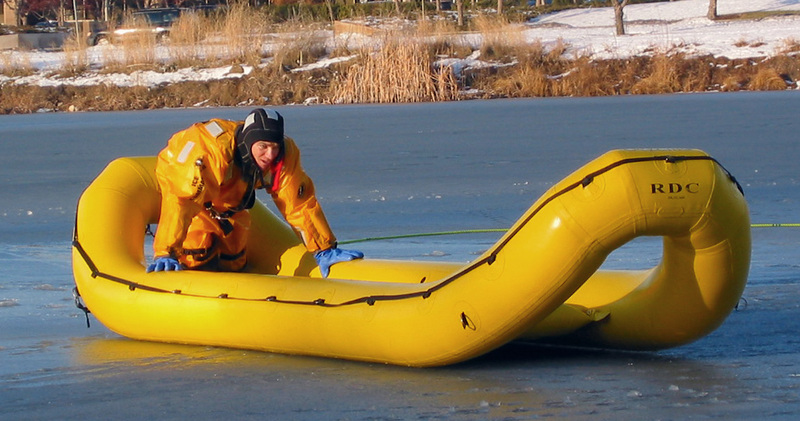 In a combination ice and open water situation, the RDC can be paddled across open water or broken ice and water by one or two rescue technicians. Watch our demonstration videos to see how the open ends of the RDC allow a rescue technician to be positioned over the head and shoulders of an ice rescue victim to pull them into the RDC . This ice rescue technique avoids ever present and dangerous situations where the rescuer becomes the victim.